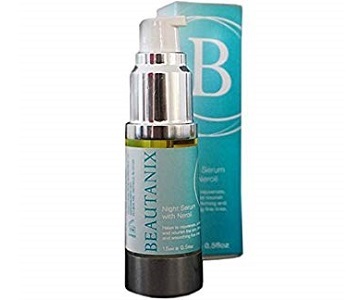 This review is for a product called Neroli Night Serum, which is produced by Beautanix. This night serum will help to protect and nourish your skin while you sleep. According to the manufacturer, their product contains a variety of ingredients that provide your skin with the maximum amount of benefits. This ingredient has powerful anti-aging properties. Neroli oil is a wonderful, hydrating ingredient in this product. When you use this ingredient for an extended period, you may be able to restore your skins natural healthy glow. At first, when we examined the ingredients included in this formula, we found that this could be an effective option for individuals who want to nourish their skin. However, we were slightly concerned about a few things we uncovered during our research. The manufacturer of this product does not disclose what percentages of the active ingredients are included in this formula. We found that products like this that are effective contain at least a 10% concentration of the active ingredients. This serum is packaged in a convenient pump bottle; however, we are not sure if it is airtight. The manufacturers of this product recommend that you take a small amount of this serum and apply it to your skin at night. They say that you will achieve the best results if you apply the serum from the center of your face outwards. If you have any serum, remaining on your hands you can apply it to your neck. This product is available on the manufacturer’s online store. One bottle of this product costs $33.45. Sadly, there are currently no discounts or special offers available on this product. Additionally, we were unable to find any information related to shipping fees. This seems to indicate that you will have to pay extra to make sure you receive your product. Unfortunately, it appears that there are no guarantees available for the customer who purchases this product. When a product has a guarantee, it indicates that the company respects their clients and believes in the efficacy of their product. Sadly, this does not seem to be the case here. Additionally, the manufacturer does not offer any return or refunds for their customers. However, a large number of positive reviews we were able to find seemed rather encouraging. When we reviewed this product, we concluded that it is an acceptable product for individuals who want to nourish their skin at night. The manufacturer included a variety of excellent ingredients in their formula. Additionally, there are several positive reviews available for this product. However, we are reluctant to recommend this product to anyone due to several issues we uncovered during our research. The manufacturers of this serum do not give any information regarding the concentration of the active ingredients. Additionally, we were rather alarmed to discover that there are no guarantees available for the customers who buy this product.